Belmont’s Education Department Chair Dr. Mark Hogan was elected to the Executive Board of the Tennessee Association of Colleges of Teacher Education (TACTE) on Feb. 19. At TACTE’s spring 2016 meeting, Hogan was elected President-Elect of the organization. Hogan will serve two years as president-elect (2016-2018) and then as president (2018-2020). TACTE is the professional association of all higher education institutions in Tennessee offering licensure and certification programs for educators. TACTE is the state level affiliate of the American Association of Colleges for Teacher Education. Part of Hogan’s responsibilities will be serving as the government liaison for TACTE, in addition to fulfilling the responsibilities of the president-elect. Hogan served as president of the Association of Independent Liberal Arts Colleges of Teacher Education from 2012-2014. 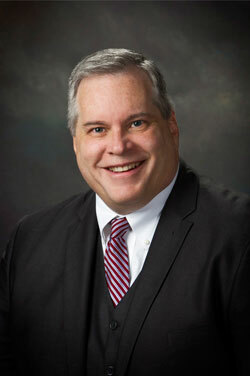 Hogan began his current position as chair of the Belmont Teacher Education Program in January 2014.